With the changing of the seasons, especially the transition from warm to cold weather, many people become more susceptible to colds and flu. The great news is that Chinese medicine is equipped to deal with colds and flus at any stage. “Let food be thy medicine, and medicine be thy food.” Those are the famous words from the ancient Greek physician Hippocrates. Congee or ‘Jook’ is a traditional breakfast dish in China. It is a soupy porridge made with rice, water, vegetables and other ingredients to boost longevity, strengthen the digestive system, as well as an all purpose remedy for sickness. Ingredients are added depending on what type of cold or flu you have, weather it is a heat type with symptoms like sever fever, mild chills, sore throat, sweating, and thirst or the cold type with symptoms of severe chills, profuse, clear discharge for the nose, mild fever, no sweat, headache and general aching. White rice is generally easy to digest, makes the Spleen (which is responsible for digestion in Chinese medicine) happy and is less work for the body when it should be directing all its energy towards fighting the pathogen. 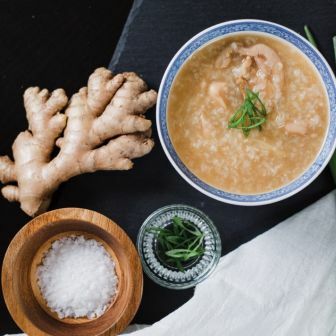 Congee is delicious and nutritious and can be eaten at any time of the year, but it is usually eaten in the cooler months for its warming and nourishing properties. Ginger is one of the most commonly used herbs in Chinese medicine. Gingerol, the main bioactive compound in ginger, is responsible for much of its medicinal properties. It has powerful anti-inflammatory and antioxidant effects that have been associated with everything from alleviating motion sickness to enhancing brain function. Ginger may also be effective against the RSV virus, a common cause of respiratory infections. Ginger warms and benefits the stomach, stops nausea and vomiting, and it warms the lungs to stop cough. 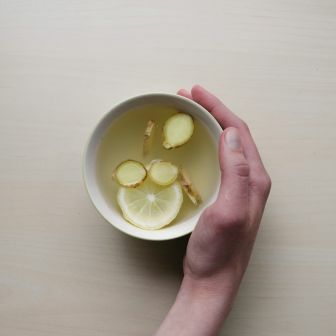 Adding a couple of slices or fresh, raw ginger to some boiling water and drinking it as a tea is a good way to resolve a fever by increasing sweating, thereby expelling internal heat through the pores. Another amazing way of using ginger when you have a col or flu is to grate some fresh ginger and put it in a cloth or old sock, tie a knot in the top and throw it into a warm bathtub. This is a great way to stimulate sweating and break fever. It will also leave you smelling delicious. reason for this is that bone broths are nutrient-dense, easy to digest, rich in flavour and they boost healing. They contain minerals, such as calcium, magnesium, phosphorus, silicon and sulphur, in forms that your body can easily absorb. Bone broth or stock was a way our ancestors made use of every part of an animal. Bones and marrow, skin and feet, tendons and ligaments that cannot be eaten directly, can be boiled and then simmered over a period of days. This simmering causes the bones and ligaments to release healing compounds like collagen, glycine and glutamine, which have the ability to transform your health. By regularly drinking bone broth or using it in recipes, you can help to promote healthy gut integrity, reduce permeability and inflammation and improve digestion. Studies are also proving that it can alleviate allergies, asthma and arthritis. Bone broth can even endorse healthy sleep; enhance energy during the day while supporting your immune system during cold and flu season. Garlic is one of the most widely used herbs in the world and it has been used throughout ancient history for its health and medicinal properties. From a Chinese medicine point of view garlic is considered a warming herb and is used to aid the spleen and stomach in digestion, as well as to expel harmful microorganisms. Studies have shown that there is also convincing evidence for beneficial effects on heart health and being able to significantly lower blood pressure. It is also known for its ability to treat infection, cleanse the blood of harmful cholesterol and powerfully boost your immunity. Garlic supplementation is renowned for combatting sickness, including the common cold. 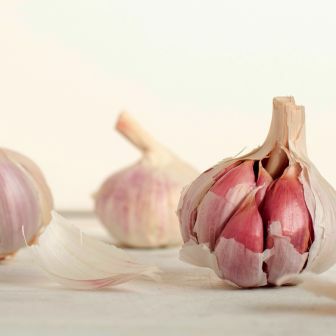 If you often get colds, then adding more garlic to your diet could be incredibly helpful. Research confirmed that a high dose of garlic extract (2.56 grams per day) could reduce the number of days sick with cold or flu by 61%. Since ancient times, honey has been used as both a food and a medicine. High-quality honey contains many important antioxidants, and has antibacterial as well as anti-fungal properties. Due to the antioxidants and flavonoids it contains, honey helps to reduce the risk of some cancers and heart disease. It reduces ulcers and other gastrointestinal disorders, and is also able to regulate blood sugar. Manuka honey has been found to stimulate the production of immune cells while buckwheat honey in particular helps with coughs. 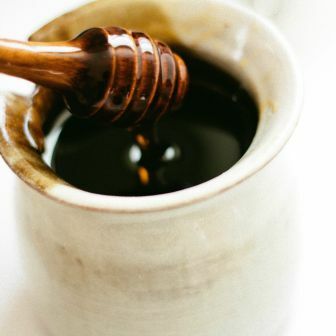 In a study of 105 children, a single dose of buckwheat honey was just as effective as a single dose of dextromethorphan in relieving nocturnal cough and allowing proper sleep. This particular honey can keep you healthy throughout the colder months. The formula Gan Mao Ling (Common Cold Effective Remedy) is used as a preventative. For instance, it is highly beneficial when traveling on public transport where everyone is coughing and sneezing around you. I use it almost daily during the cold and flu season to prevent catching my patient’s colds. Yu Ping Feng San (Jade Windscreen Powder) is a formula that is utilised to boost your immunity and prevent illness in people who catch colds easily. If you catch ‘everything going around’ this can be a great formula for you. Sang Ju Yin (Mulberry Leaf and Chrysanthemum Decoction) is a classic Chinese herbal formula that is most effective when a cold or flu is still at its early stage with symptoms such as cough, mild thirst, and slight fever. It is used especially when cough is the main symptom. The Chinese herb formula Yin Qiao San (Honeysuckle and Forsythia Powder) is a classic formula that treats colds and flus effectively. It is commonly used when presenting with heat, sore throat and fever. Taking a dose every couple hours at the first sign of illness can reduce the severity of the cold and also clear it up faster. Dr Leela Klein (TCM) is available at Natural Therapeutics on Tuesdays, Saturdays & Sundays. View Leela’s profile here to find out more about what she offers and how she can assist you! For Leela’s availability and bookings, simply go to our bookings page or phone reception on 9381 0300. 6. Wong, L., & Knapsey, L. (2002). 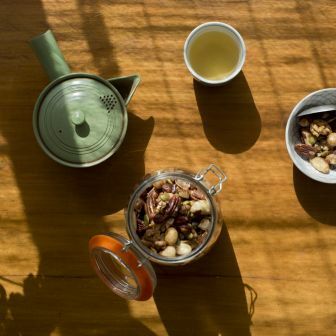 Food for the Seasons: Eat Well and Stay Healthy the Traditional Chinese Way. Maddington, Australia: Red Dog Books. This protein packed power breakfast will give you all the energy you’ll need to hit the ground running (and it’s delicious!). The benefits of a high protein breakfast is that blood sugar levels are maintained at a healthy level for much longer than a carbohydrate based breakfast eg cereal or toast. This means you have much more available energy and feel more satiated for longer. 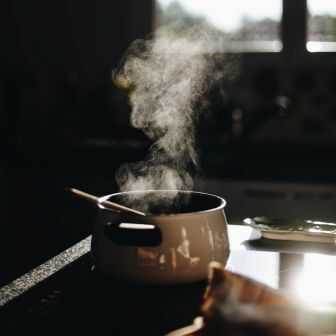 A carb breakfast will quickly leave you feeling tired and hungry which is a dangerous recipe for choosing more “quick fix” foods (usually more carbs). Another bonus of this awesomely delicious granola is that packed full of essential fatty acids. These healthy fats are excellent for improving healthy cholesterol (lowering bad LDL cholesterol), improves brain function, supports healthy skin and hair, to name just a few. This makes a bucket load which I store in the fridge (to keep the healthy oils in the nuts and seeds fresh) in a glass jar. It lasts over a week so I know I’ve got brekky sorted (one less thing to think about, yay). Feel free to halve the quantities or omit or add any ingredients, totally up to your personal taste. I don’t bother chopping anything, just bang it all together in a large baking tray. Get your (clean) hands in there and toss it all through thoroughly. 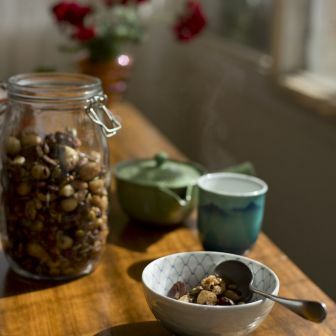 Then just pop it in a moderate oven for just 5 or so minutes, you don’t want to toast the nuts and seeds otherwise you lose all those lovely essential fatty acids. It’s really just to warm it through so it all gets coated with delicious spices and apple juice concentrate. Viola! Breakfast is ready! I serve it with coconut yoghurt and fresh seasonal fruit. Katie is available at Natural Therapeutics on Tuesdays, Wednesdays & Thursdays. View Katie’s profile here to find out more about what she offers and how she can assist you! For Katie’s Naturopathy availability and bookings, simply go to our bookings page or phone reception on 9381 0300. How to cruise through the year with less stress! Yes please! Think adrenals. Our adrenal glands are the powerhouse that help us cope, or not, with stress. This is why it is essential to prioritise adrenal health to ensure we can effectively duck and weave all the curve balls that life throws us. And, let’s face it, curve balls are a daily event! Our adrenal glands are situated above the kidneys and produce a hormone called cortisol in response to stress and anxiety. You may have heard of the “fight or flight” response, well this is what it’s all about. If our adrenals are pumping out loads of cortisol due to high stress stimulus we start feeling anxious. If this is sustained over a long period of time we experience adrenal fatigue, at this point our adrenals struggle to produce cortisol and we end up feeling exhausted all the time. When we experience long periods of high level stress our poor adrenals don’t get the restorative break they require to keep functioning effectively. This results in poor quality sleep, insomnia, anxiety, low energy or, in the later stages of adrenal fatigue, exhaustion. Ever had the feeling your dragging yourself around or can’t get out of bed in the morning? This is your adrenals crying out for help. Good sleep – make sure you’re in bed by 10pm. Adrenals require optimum sleep time to recoup spent cortisol from the busy day. Exercise regularly, but not excessively. Regular relaxation and breathing exercises. Massage, meditation and gentle yoga are excellent ways to switch off. Share enjoyable time with friends and family, remember to laugh. Identify what is preventing you from moving forward and enjoying life. 5-6 serves of vegetables per day. Eat good quality protein, especially for lunch and breakfast. Use quality cold-pressed oils e.g. olive, coconut, walnut, almond, & flaxseed. Avoid acidic foods such as hydrogenated fats, refined carbohydrates & fruit juices. Avoid energy robbers such as caffeine & alcohol. Drink filtered water – 8 to 10 glasses per day. Supplement with B group vitamins, magnesium, vitamin C, zinc, essential fatty acids e.g. fish oil, flaxseed oil, nuts & seeds. 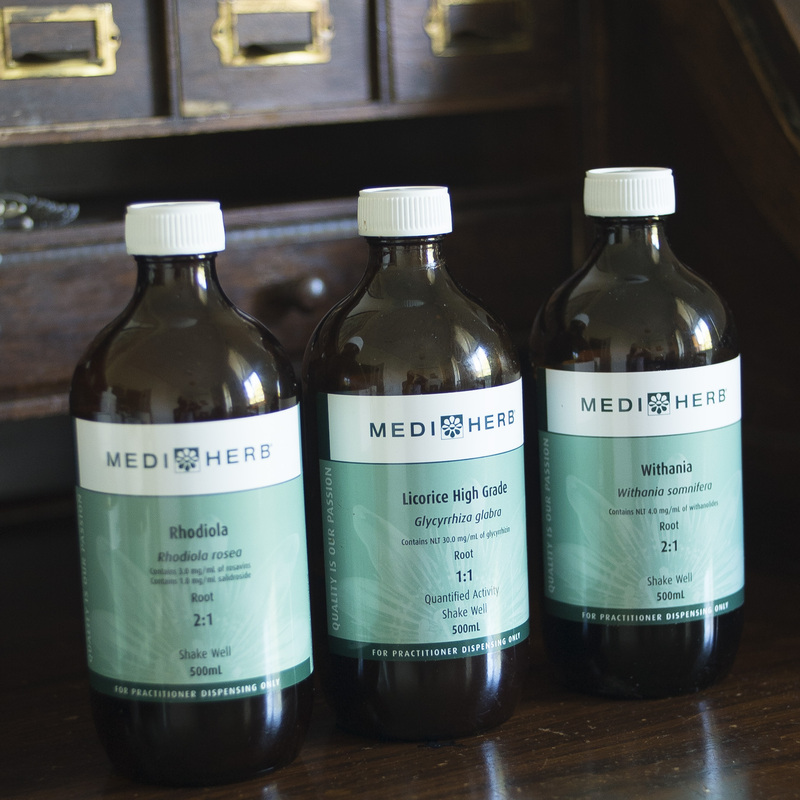 The most effective way to support the adrenals after long periods of stress, especially helpful when we feel exhausted and overwhelmed, are herbal adaptogenic tonics. This group of herbs literally assist us to adapt to stressors, as we can’t take them away; that’s just life. We have to work on how we respond to stress. Adaptogen herbs such as Rhodiola, Withania and Licorice are my favourites for improving our ability to cope with stress. You can have your levels of adrenal hormones tested to find out exactly how your adrenals are coping. This is especially useful in situations where stress is impacting on your health. Common symptoms of low cortisol levels are fatigue, depression, insomnia, infertility, allergies, chemical sensitivities, menopause, PMS, sugar or salt cravings…to name a few. For an Adrenal Hormone Profile you need a Functional Pathology referral from a naturopath, such as me. Too easy! If you feel you need to top up your fuel tank in preparation for the year ahead or have been suffering the effects of long term or acute stress, a herbal tonic and getting your adrenal hormone levels checked are key. Happy adrenals equals happy life!!! Katie is available at the clinic Mondays-Wednesdays. Book online or give us a call on 9381 0300 to discuss your needs. 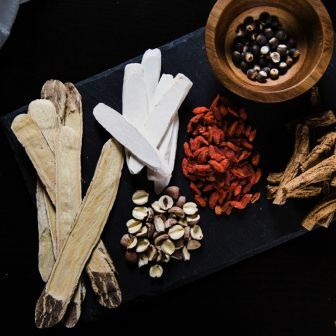 Established by naturopath Katie Forster in 1998, Melbourne's Natural Therapeutics offers experience and expertise in a range of natural therapies. We are Brunswick’s longest-standing natural health care provider, having moved our inviting clinic to our Blyth Street location in 2002. Our focus is your health and well-being. In a tranquil, relaxing and secure environment, choose from a range of therapies provided by highly qualified practitioners. © Natural Therapeutics. All rights reserved. Site by Pip Compton and Ian Register.